How to Review Your Campaign Results? See how your campaign performs! Once your campaign has been sent to your recipients, you can see statistics on how successful the campaign has been. Step 1: Go to your LimeSpot Admin Panel > Approach > Campaigns. Step 2: Click on the campaign you want to see the results of. 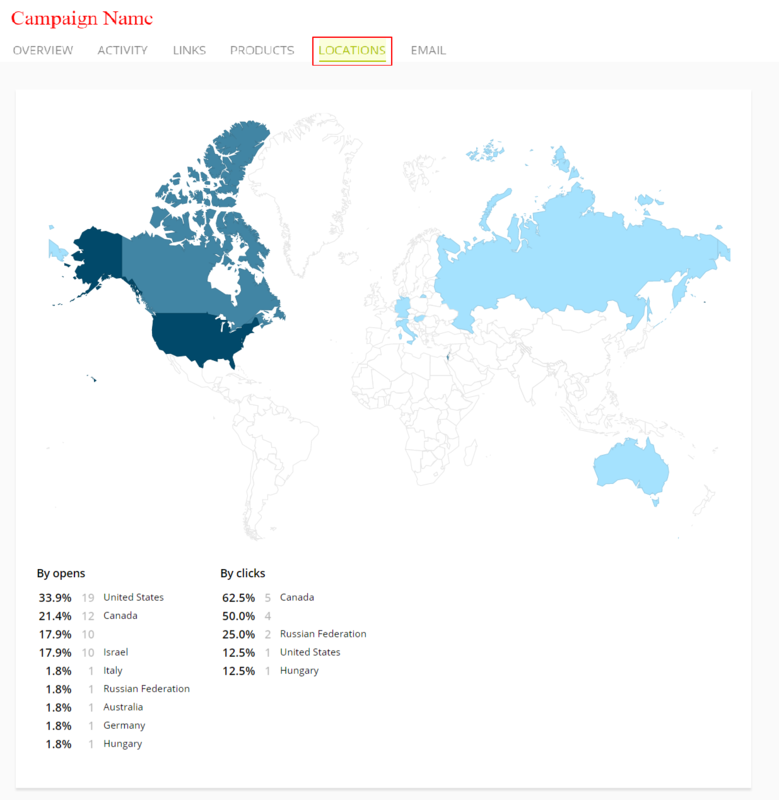 You will see an Overview of how the campaign is performing. You will see the number of recipients you have sent the campaign to, the open rate, the click rate, the geographical location of where the campaign was opened, number of purchased items, etc.. Step 3: Activity tab. You will see all your recipients and what they have done with the campaign. How many times they have opened the campaign, items they bought through the campaign and the times they clicked a link in your campaign. These links refer to links that you have added within your campaign (ie. product links, social media links, etc. 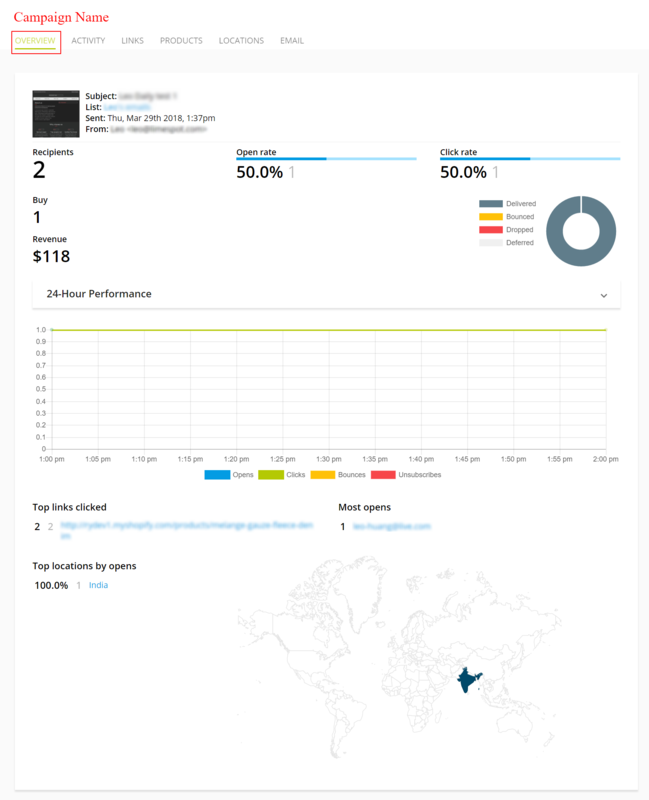 ), so you can see which products have been viewed by customers. Here is an article for more information on what you can see in the Activity tab. Step 4: Links tab. You will see all the links that you have in your campaign and the number of times they have been clicked and the unique clicks they have gotten. The total clicks refer to the total number of times the link has been clicked and the unique clicks refer to unique visitors/ customers have clicked on the link. Step 5: Products tab. You will see all the products that have been viewed, added to cart and bought from the campaign. Step 6: Locations tab will show you the geographical location of where your recipients opened the email. It can tell you where most of your customers are located, and where they actively open and click on campaigns. You can also hover over the location to see the opens and clicks in that area. To learn more about this, go to this article. 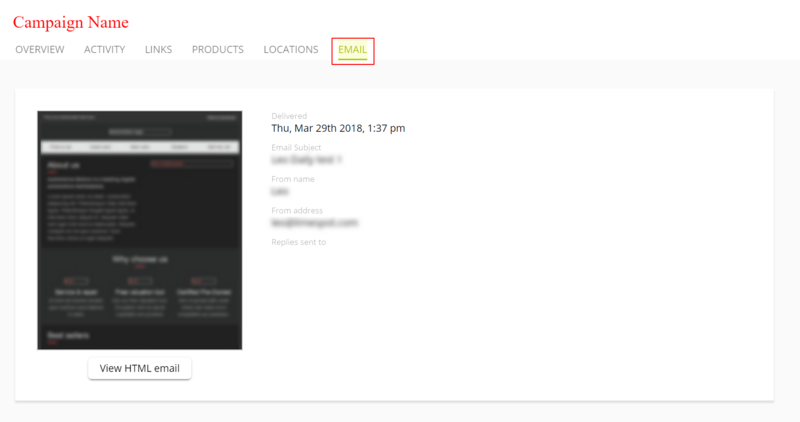 Step 7: To see a summary of your email, you can go to the Email tab and you can view the campaign information and the actual campaign that has been sent. Please note that this is only an HTML template of the campaign and you will not be able to make any edits here.